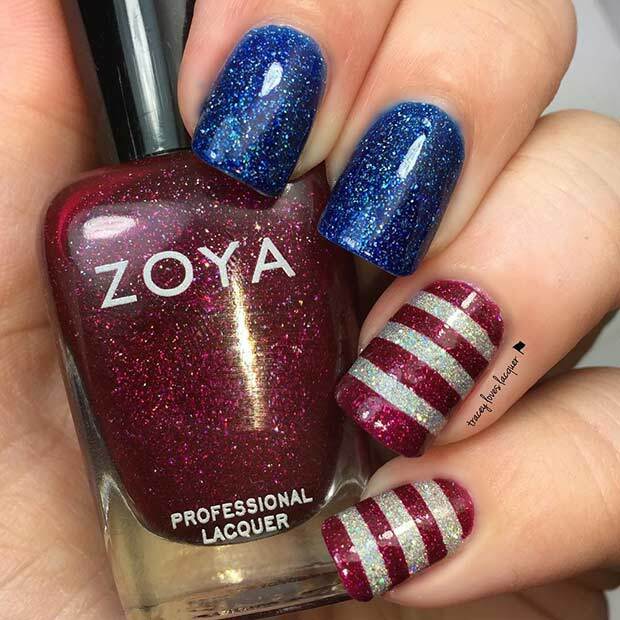 Red, white, blue, stars, sparkles and more, these are just a few ways to pay homage to the holiday. 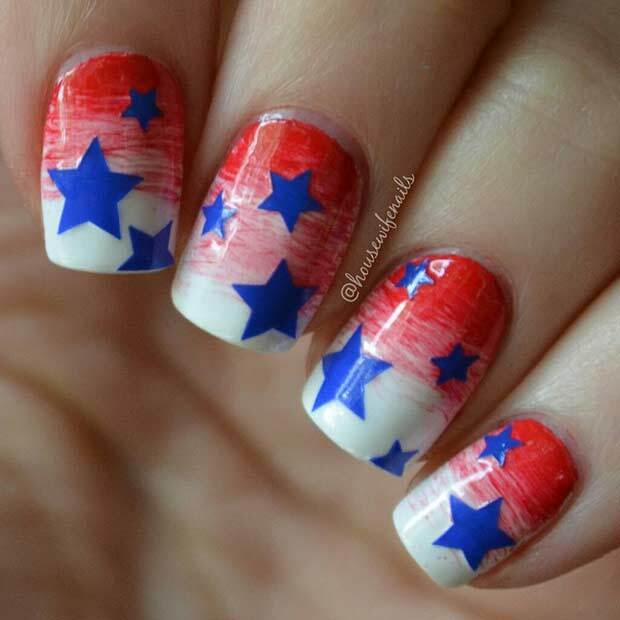 Light up your manicure with 20 July 4th nail art designs! 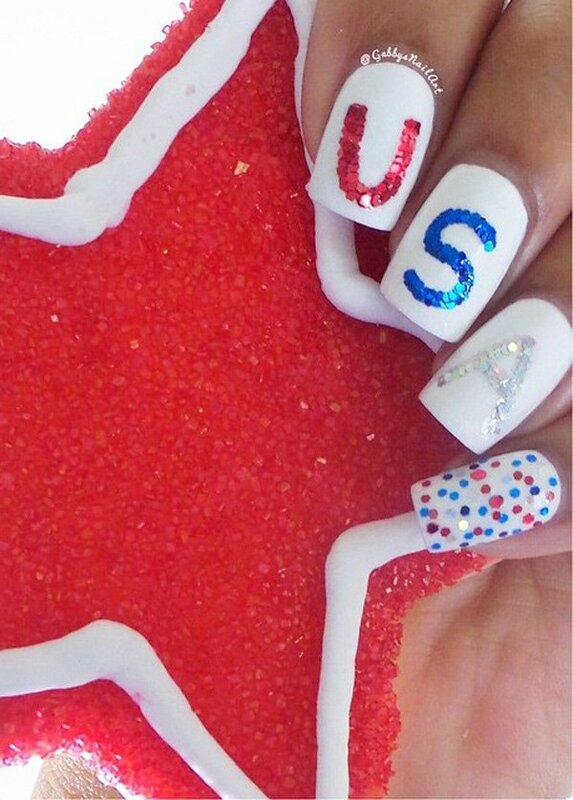 Yes, even your digits can sparkle like the sky when the fireworks go up. The Polished Perfectionist showed off this beautiful “tipped” design. It’s more intricate but definitely sets off the digits nicely. Cuded added an anchor to this simple design. 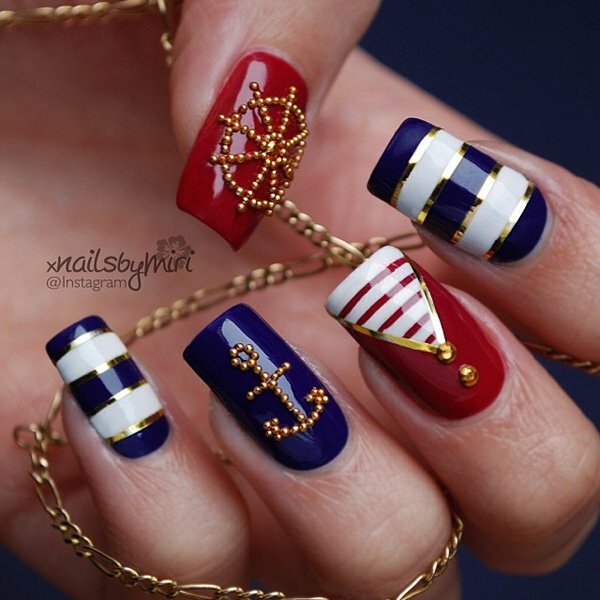 It’s got a nautical vibe but still really festive and creative! Instagram always provides heaps of inspiration for us. But when we stumbled upon this “dripping” design, we knew we found something special. These marbled beauties were found on Instagram as well. 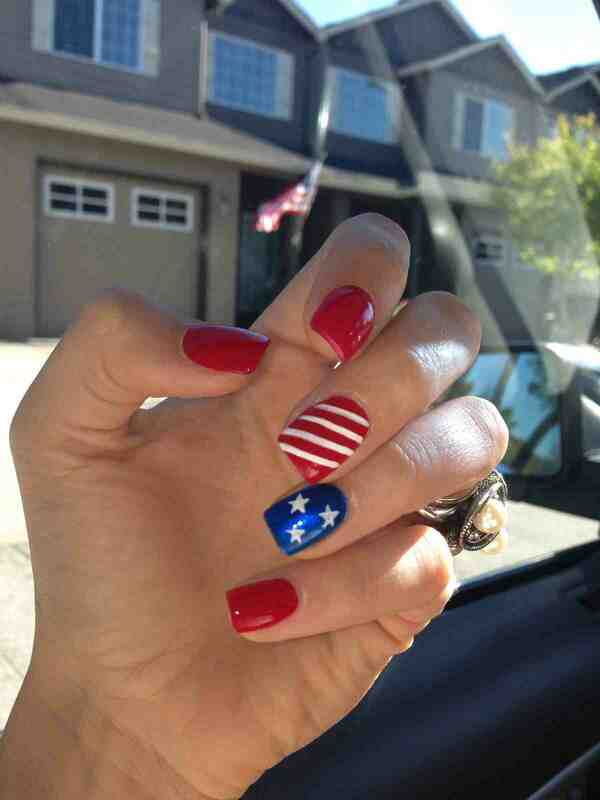 Do every nail as such or compliment them with a solid or two. 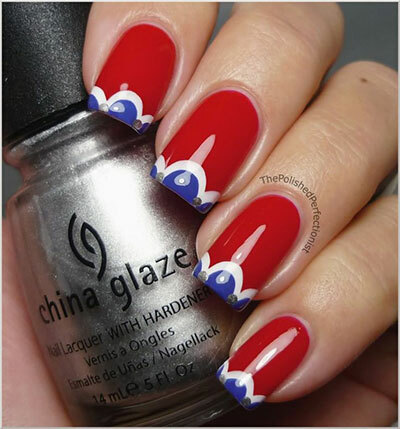 Amateur Manicure gave us another classic nail design to snag ideas from. We’re loving this more muted style. Do you like embellishments? If so, then this find from Instagram will be right up your alley. 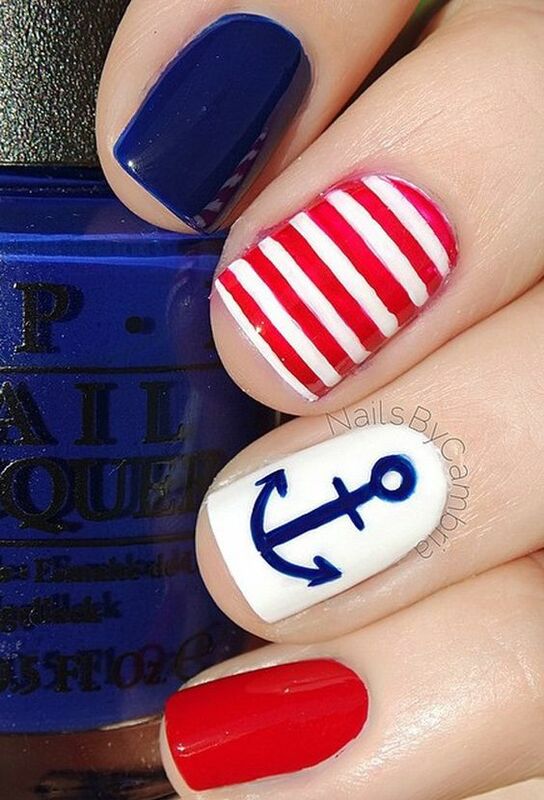 It’s got nautical flair and 4th of July festivity. Stay Glam went with all metallic glitter and we’re loving every bit of it. The addition of the stripes is nice too! 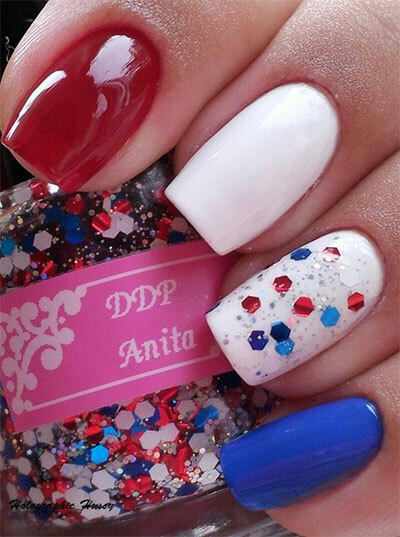 Shout your love for the USA from the rooftops with this fun nail design. Again, Instagram gives us great inspiration. 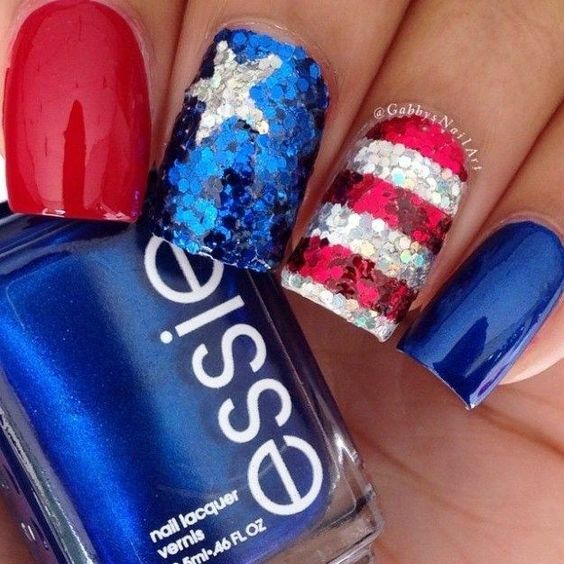 Makeup Tutorials shows us how to create an extra-sparkling design to don on the 4th of July. Take the jump and check it out now. 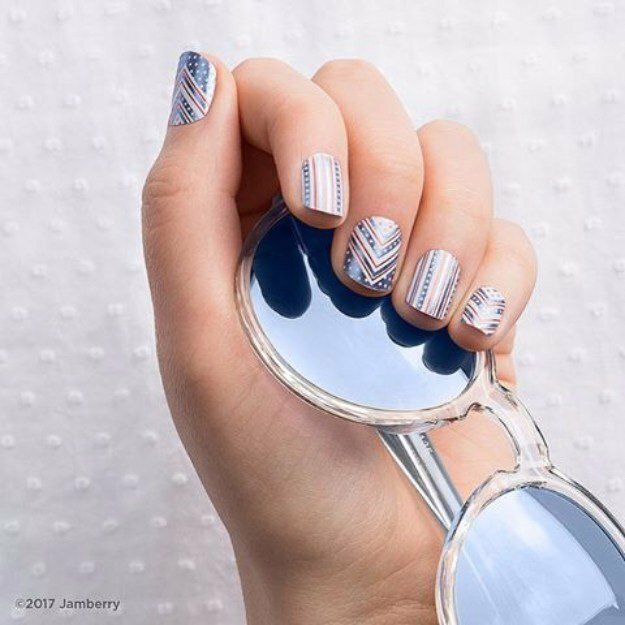 Makeup Tutorials also holds this chevron design that we’re loving too! 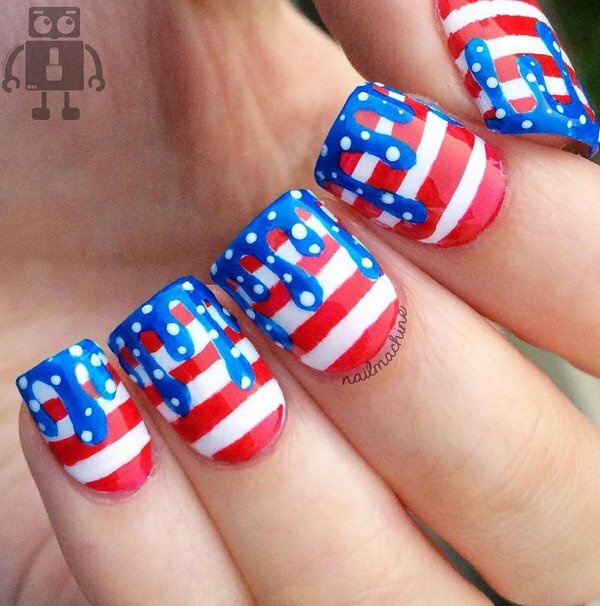 Intricate and trendy, it’s a great way to pay homage to the festivities. You don’t have to do crazy, detailed designs to dress the part! 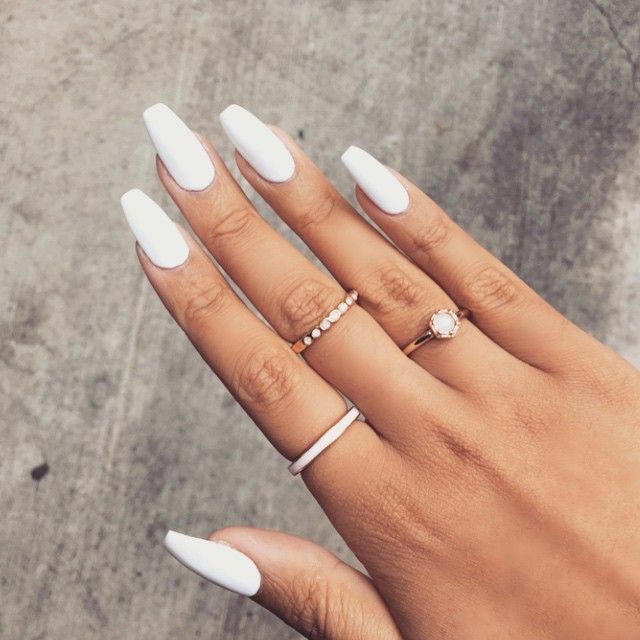 Instead, you can paint your nails white and go! 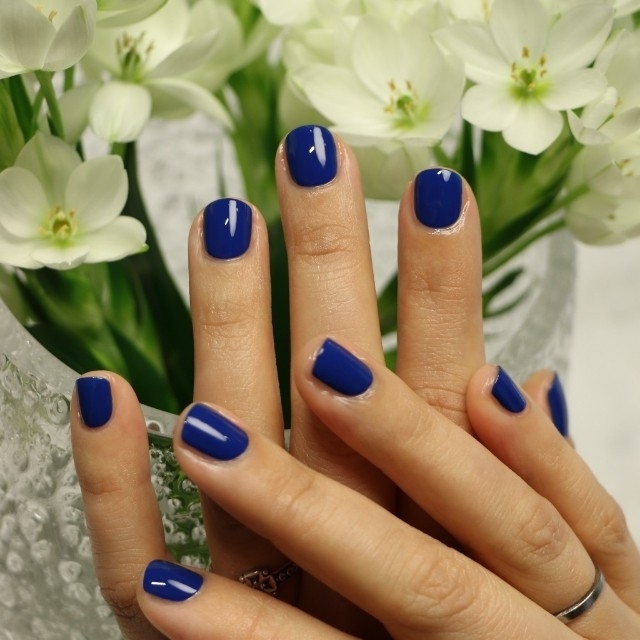 Just look at this gorgeous and simple manicure we found over at Pinterest! 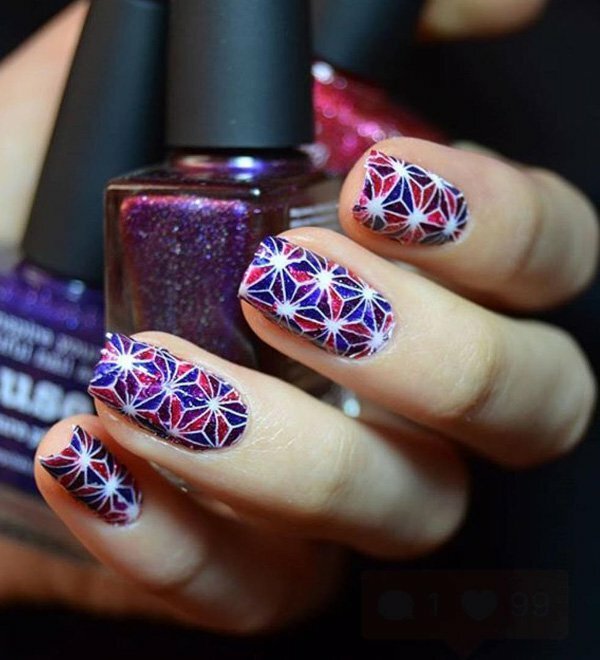 She Knows combines two fun trends in one with this design! 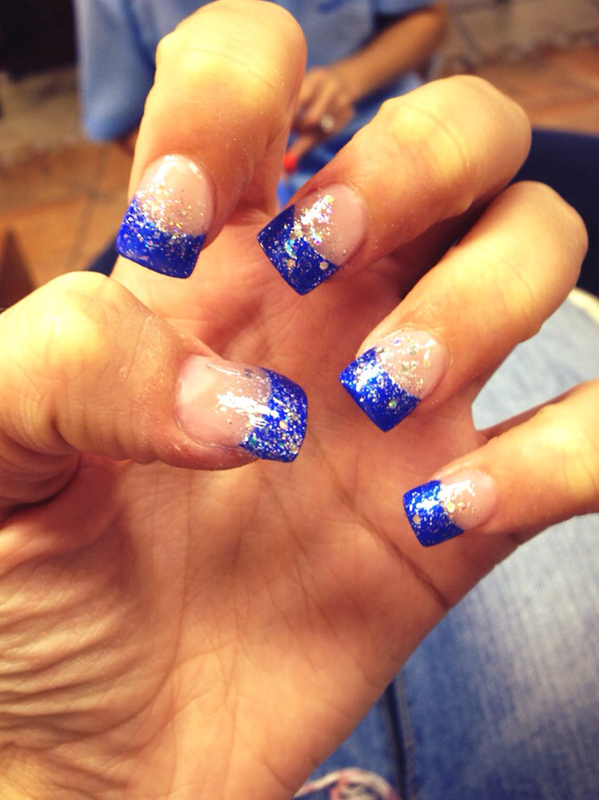 You get sparkles and ombre effects for your digits. Check out these fun geometric print over at Cuded! 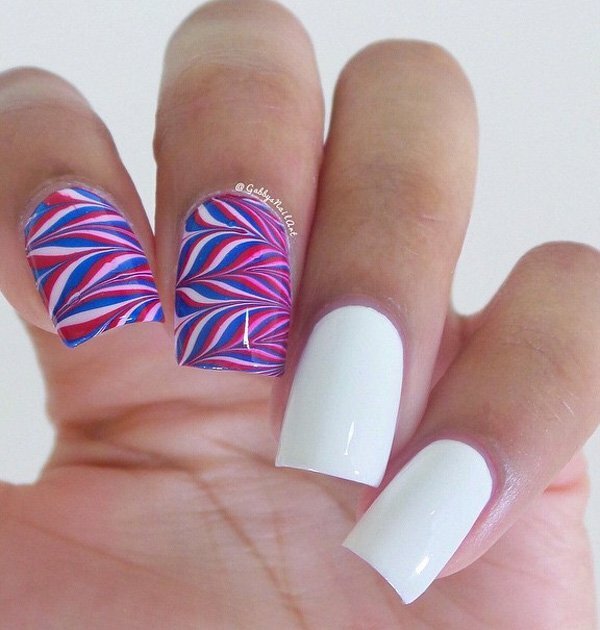 Made with reds, white and blues too – it’s a piece of art for your nails! 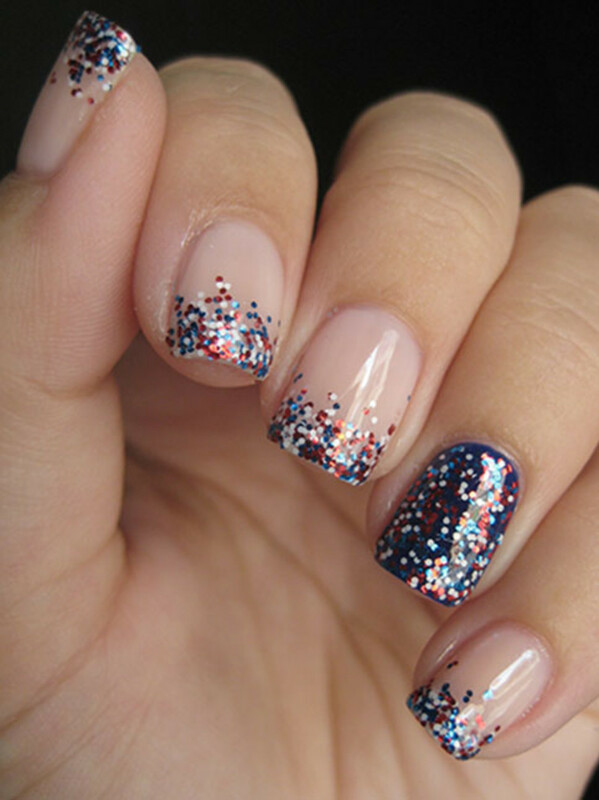 A small amount of confetti can take your manicure to the next – and more festive – level. 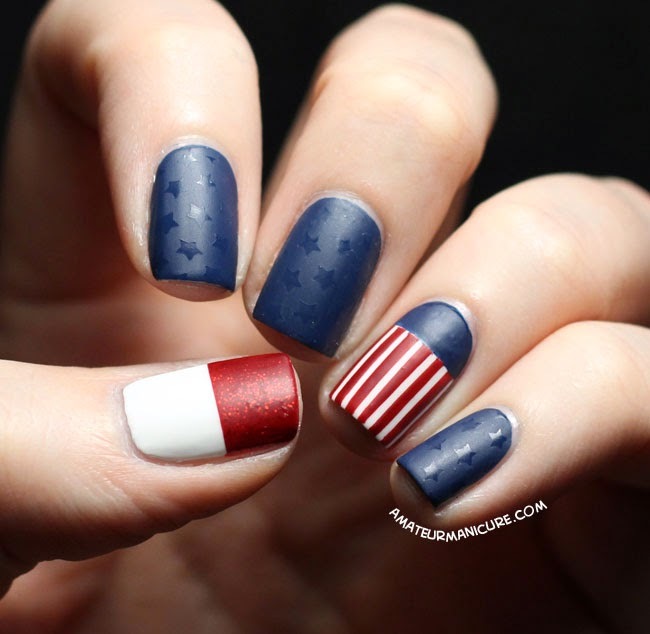 Just pick an accent nail and commit!